It is anticipated that the vast majority of pupils in Caterham Prep School will progress into the senior school. A pupil moving from the Prep School to the Senior School is required to satisfy an entry requirement based on a combination of previous academic performance, performance in the 11+ entrance examination, previous behaviour and on the recommendation of the Head of the Preparatory School who must be satisfied that the pupil will be able to cope with the pace and rigour of academic life in the Senior School. If the pupil satisfies the relevant criteria it is assumed that he/she will progress through the school to at least year 11. The School will consult parents before the end of the Spring Term in year 6 if there appears to be any reason why the pupil may be refused a place at the next stage of the School. The Head of the Preparatory School will meet with parents as soon as possible in the pupil’s School career and in any case no later than the end of Year 5 if there are any concerns about a pupil’s progression into the senior school. Parents must in every case give a term’s notice if it is not the pupil’s and their intention to continue into the Senior School. 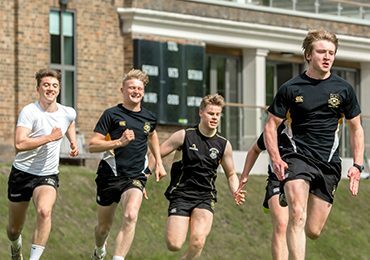 It is anticipated that the vast majority of pupils will pass through to our Sixth Form, though the school will apply a range of academic and behavioural criteria to ensure that pupils are able to thrive in our Sixth Form. Performance at GCSE, previous academic performance, and previous behaviour will inform this decision. 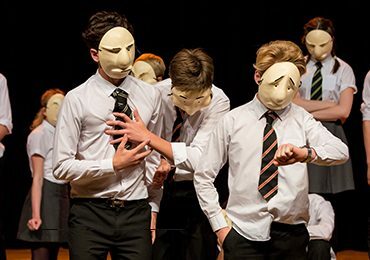 Experience tells us that pupils who achieve around or below six 6s (or their equivalent) at GCSE find the pace of study in our Sixth Form extremely challenging with potential consequences for their wellbeing. Consequently pupils need to achieve a minimum of six 6s in order to qualify for the Sixth Form (this is subject to modification but any changes would be notified before the commencement of a GCSE course). In addition, individual A Level subjects have their own GCSE qualification requirements which students must also achieve. The School will consult parents before the end of the Spring Term in the Fifth Year if there appears to be any reason why the pupil may be refused a place at the next stage of the School, although it is likely that these conversations will start at the beginning of the Fifth Year or earlier. Parents must in every case give a term’s notice if it is not the pupil’s and their intention to continue from fifth to sixth form.